Best dentist I ever had! She’s considerate, gentle and patient. At the same time, she gets the job done with nopain. And she takes a minute to tell you what you need to do to make what she did work. So glad I found her! Best dentist I ever had! She’s considerate, gentle and patient. At the same time, she gets the job done with no pain. And she takes a minute to tell you whatyou need to do to make what she did work. So glad I found her! I have some dental anxiety and Dr Khelmer was amazing. I have not been to a dentist in far too longand have a lot of issues because of it. Dr Khelmer set up a plan to get everything back in order and made me feel really comfortable with everything. Everyone else in the office is just as great as she is. I would recommend Dr Khelmer to anyone. I have some dental anxiety and Dr Khelmer was amazing. I have not been to a dentist in far too long and have a lot of issues because of it. DrKhelmer set up a plan to get everything back in order and made me feel really comfortable with everything. Everyone else in the office is just as great as she is. I would recommend Dr Khelmer to anyone. Dental Emergency consultations or treatments will be performed the same day if you call us during open hours and by appointment after hours. Dr. Khelmer is in private practice as a general and cosmetic dentist, who strongly believes in ‘The Power of Prevention’ and prides herself in providing the highest quality comprehensive dental care available. 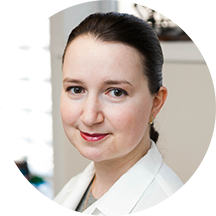 Dr. Khelmer has served as a clinical associate and instructor at the University of Pennsylvania School of Dental Medicine. Fantastic doctor, true professional with pleasant bedside manners. I needed to see a dentist as fast as possible,made the appointment at 7am and made a 9:30 am appointment. did all the paperwork on line and was seen by DR.Olga right way.I would recommend her services. Felt like they were pushing for more procedures than were really needed. I had a few procedures done, some of which were complex. Dr. Khelmer, and her assistant were highly experienced and knowledgeable. Seeing as how this was my first time getting them done, I felt relaxed throughout. My wife and I willdefinitely be back, and recommend this place to our friends. Dr. Khelmer is amazing. A 2nd molar of mine had become so bothersome over the course of 2015 I finally caved and scheduled a routine cleaning in hopes of getting to the bottom of what was going on with the problemtooth. Turns out I was less than a month from needing a root canal or having the whole thing pulled. Since I was leaving the Country to travel to Iceland the the next week, Dr. Khelmer was able to establish a game plan to avoid the root canal, scheduled me the next day and the tooth is still going strong! Iceland was pretty cool too. I highly recommend Dr. Khelmer!! The level of care + expertise is unmatched. Dr. Olga was excellent! I will never go so long without getting my teeth cleaned! This office is awesome! I would highly recommend if you appreciate great service. They are so friendly and helpful. The doctor spends quality time with the patient. I sent my Dad (who is visitor) to see Dr. Olga for a bridge emergency, without any references and we were so impressed, my Dad was very pleased by her service he even said you should change dentists and go to Dr Olga from now on! I just walked out of the office and am more than pleased about my visit. Staff was very friendly, informative and made sure i felt comfortable. Highly recomend them! I was very impressed by the doctor's care and concern. She was unbelievably knowledgeable and I'll be making her my new doctor and my daughter's as well. She told me everything she was about to do and I felt totally at ease.